Purchased this sink for my son. It is very nice and he said it was easy to install. He purchased a black faucet and the combo is fantastic. It was a very nice upgrade from his old black porcelain sink. Upgrade your kitchen with this single-bowl top-mount sink. 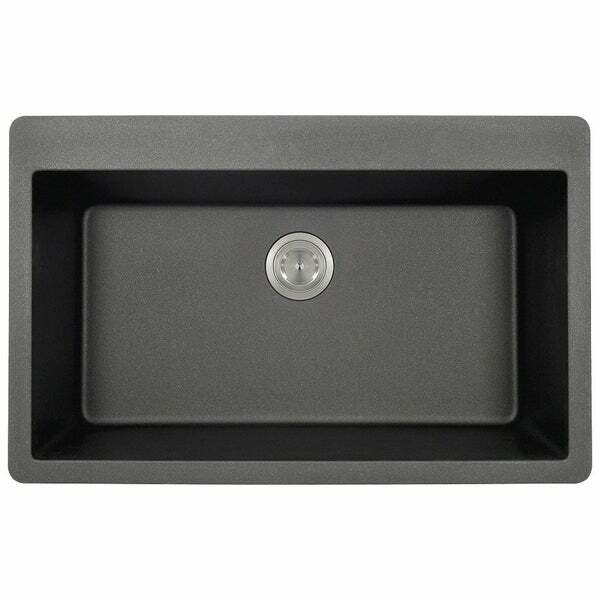 This ultra-modern black sink resists stains, scratches, and heat damage for versatile use. I started to purchase this black sink and swapped it for the silver quartz sink instead. I am so glad I did because I think the gray goes best with the colors in my counter top. This is a beautiful sink.